Are you at work right now? Are you sat down? Are you pretending that you’re doing work but really just reading this awesome article? (*wink*) Well, we don’t blame you – just don’t get caught! Yet, if you are sat down at work right now, there’s a high chance that you have been sat down for the past few hours, and have another few hours of sitting down after that. As much as you thank your lucky stars each day that you don’t have to work outside with people (eugh) leading such a sedentary lifestyle can get pretty achy sometimes. Yep, we are talking about your numb backside. So, have you ever wondered whether standing desks are better for you? Amazingly, a whopping 68% of the American population work in office environments and sit down for hours on end, and it doesn’t take a genius to know that moving and sitting down for long periods of time is not good for your health. In fact, those that sit down for most of the day are more likely to suffer the likes of heart disease or heart failure – which isn’t great. By using a standing desk rather than a sitting desk, you can encourage more movement in yourself and your body. This is because standing up reduces the amount of stress and lethargy that you feel sitting down, which can make you feel more energetic. 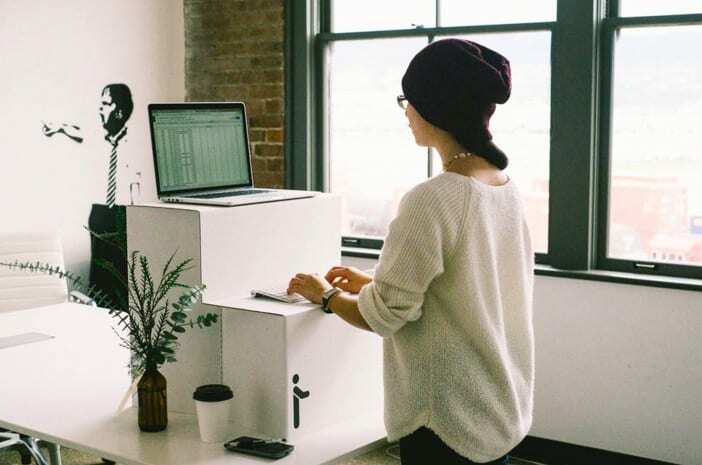 It’s believed that standing desks can also help with those that suffer with back pain or bad posture, as your body just can’t ‘stand’ (geddit?) slouching in a chair or sitting in a chair that doesn’t comply with the shape of your back. As if that wasn’t enough, there are even more health benefits! Thanks to a study by the US National Library of Medicine, standing rather than sitting at your desk can actually help your blood sugars return to normal after you have a meal. In turn, this allows for better hormone regulation, as well as a quicker metabolism. Can’t argue with that. But are they really any better than sitting desks? While the health benefits are there, there are some experts who just really don’t believe that standing desks are any better than sitting desks. In fact, one ergonomic seating expert (yep, that’s a real job) has noted that it doesn’t matter whether you are sitting or standing up for 8 hours a day – if you are still standing and sitting in one place, you are still being static and being just as sedentary. So, unless you decide to run a half-marathon on your lunch break after standing up all day, there really is no difference between the two. In fact, the best way to stay healthy while working in an office environment is to take yourself off for regular walking or exercising breaks. It could be just a wander outside to buy your lunch, it could be a walk to the toilet, or you could do some stretches during your break. Any movement is better than nothing and is vital for good health. 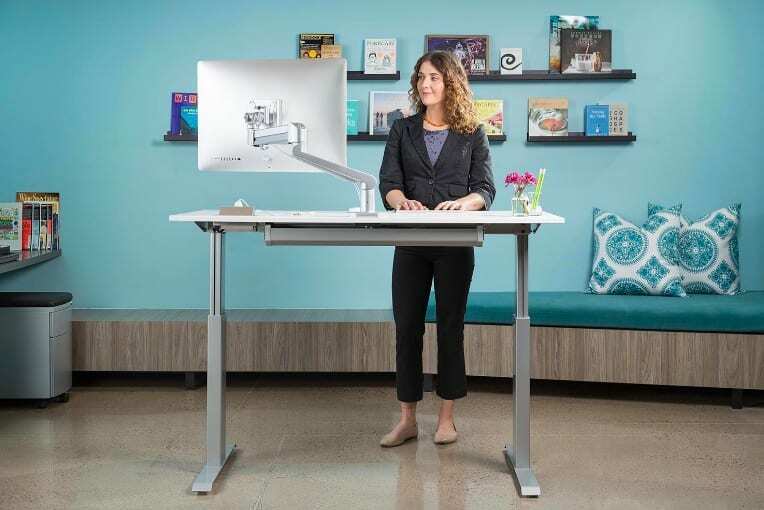 While standing desks may seem like a novel idea, and obviously show their advantages, there really is not a lot of difference between sitting and standing desks during your office hours. Because of this, the choice is completely yours! Which one will you go for? What has the cast of Bring It On been up to?